NEW SONG - NEW VIDEO CLIP! Penumbra has released its first video music! Check out our other videos on YouTube!! The official release date of Penumbra's new album (Era 4.0) is November 27th 2015. You will find this album in some stores as well as in all main digital music marketplaces (Itunes, Spotify, Amazon mp3, etc...). You will also have the opportunity to pre-order it in October 31st 2015 on this website through the webstore. Pre-sales will be dedicated by the band. On that way, we are proud and happy to offer you this official trailer which contains a sample of each track of this new album. To all the people who have supported us, we give our most sincere thanks. Save my world (promotional version) is now available ! Now you can watch / listen a new entire track of the band on Youtube !! 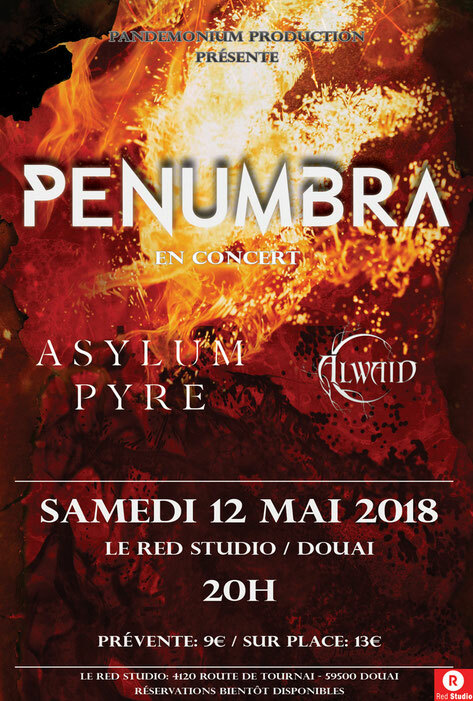 Penumbra has chosen "Save my world" to introduce their new forthcoming album Era 4.0.